Busted a plugga? 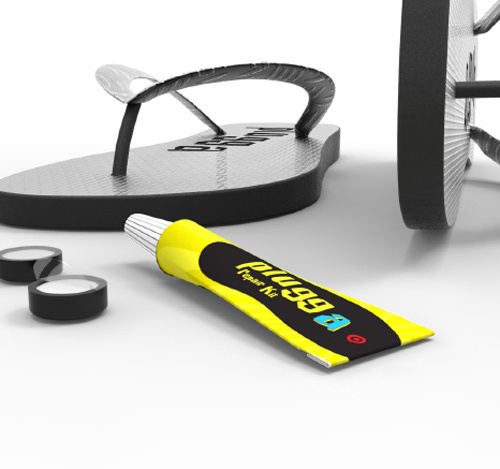 You need Plugga Repair Kit to fix your thongs! Let’s make our thong’s last! 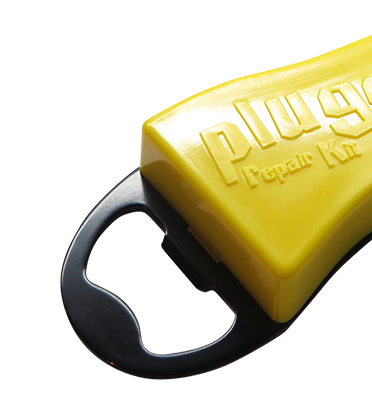 With a Plugga Repair Kit on hand, your plugga’s will soon be as good as new and stronger than ever – crisis avoided. The process is a simple, with step by step instructions to have your beloved plugga’s back on your feet in just minutes! PRK can add your logo to our kits to create a promotional item that will get your brand noticed! Too many broken thongs litter our beaches, line our music festival barriers and pile up in our landfill. They aren’t cheap…popular brands we purchase can cost up to and in excess of 25 bucks! The opportunity to help those less fortunate and without access to new footwear. While I was at the blues & roots festival over Easter, I was walking along and my plugga broke, “f&%k” worst possible time ever for it to break, as I had no other foot wear, and a random act of kindness happened. This guy Bailey came over to me, and said, “hey mate I can fix that for you” and out off his pocket he pulled the Plugga Repair Kit, I was like nooooo waaayyyyy! Within a minute he’d fixed my plugger. Bloody champion!! They’re still going strong today. Thanks Pal. Whilst putting my daughter into her car seat, I had stretched just that little bit too far and felt one of my Havaianas bust. The initial sinking feeling of knowing my overpriced thongs were now broken, was immediately replaced by a feeling of inner calm, as I knew, attached to my car keys, was my trusty Plugga Repair Kit key ring. No having to rush around looking for another item of footwear, no having to fork out more $$ to pay for yet another pair of thongs. Nope. Within minutes the Havaianas were as good as new. Like baby wipes, the PRK will come in handy and should be carried on your person at all times….You never know when you’ll need it. Thongs are more than just a really sensible footwear option. A well worn set of thongs become a part of your soul. They invoke all of the memories that were made when you were parading around in them. So, when I busted a pair of authentic Brazilian Havaianas that I’d had purchased in the small central coast surf town of Buzios in Brazil, a small part of me died with them. I was shattered. These thongs had survived hiking through dense rainforests on Isla Grande while we were being pursued by a wild dog in the pouring rain (like I said, sensible footwear). For some reason I couldn’t chuck them out. Nostalgia, I guess. Then one day came Plugga Repair Kit from a friend. 30 seconds later, thongs repaired… my soul is strutting around on my feet again!